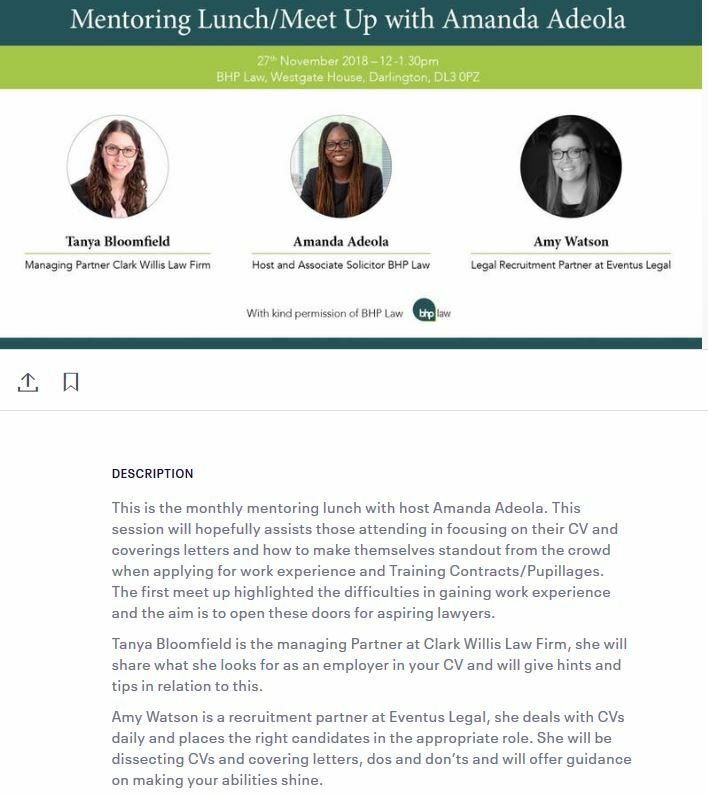 Amy Watson, Legal Recruitment Partner at Eventus Legal, part of The Eventus Recruitment Group, will be dissecting your CVs and cover letters; offering advice and guidance, at Amanda Adeola’s free Mentoring lunch. The meet up / mentoring lunch takes place on the 27th November 2018 from midday until 13.30pm at BHP Law, Westgate House, Darlington, DL3 0PZ. Please bring your CV & any covering letters for Amy to dissect. For more details and to book your place, please click here. You can read more about Amanda’s inspiring mission to kickstart the careers of young legal professionals here.